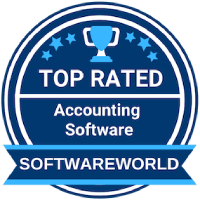 USA – March 19, 2019 - SoftwareWorld, an online software review platform that helps businesses find the right software, today announces top accounting software for 2019. This list consists of the best accounting solutions for companies to use for their accounting needs. Accounting software is a solution that consists of all systems and applications essential to manage and process financial data. Accounting professionals and bookkeepers prefer this software to govern accounts and automate operations. It enables the recording of accounting data, measuring all the indicators and reporting the necessary financial activity of the company. Accounting software acts as an error-free bookkeeping solution that reduces the amount of error in financial transactions. It helps in securing the financial details and accurately captures the daily operations of the company. These are fast and efficient and save a lot of time. Accounting software also helps in keeping track of the compliances and is highly cost saving. With the reporting facility, these assist in meeting compliance and filing tax. Based on a lot of factors such as the number of clients, volume of users, client testimonials, online presence, positive reviews on leading software reviews websites, and social profiles and feedback, SoftwareWorld has aggregated this list. With the extensive research about each software, SoftwareWorld has finally created the list of the top accounting software of 2019. » The SoftwareWorld Score is on a 100 point scale and is composed of three parts: 40% total number of customers & users, 40% total number of ratings & reviews (Capterra, GetApp, G2Crowd) and 20% a social score through social media followers. If you are searching for the top accounting software, this list will be the best guide to help in finding the most suited accounting software. If your Accounting Software is part of this list, use this badge on your website and social media to let your readers know about your success.